If you are someone who has been following the pulse of the beacon market, you’d agree that 2016 is on its way to becoming the ‘Year of the Beacon’. While Google managed to make a huge splash in the beacon market with the announcement of Eddystone in July 2015, Apple continued to dominate the market for the major part of the year in terms of deployments and successful beacon trials. However, with the recent updates on the Eddystone protocol front, Google seems to have taken Apple head-on in the beacon space battle. And going by the announcements made at Google I/O 2016, Google’s annual developer conference that took place in May, Google is way ahead on the track to becoming the leader in the proximity marketing industry. We will dig deep into this Apple vs Google battle in the beacon space in a future blog post. For now, we will take you through some of the main challenges in the proximity marketing space that were addressed head-on at the Google I/O event, and the massive implications that these updates hold for the beacon ecosystem. 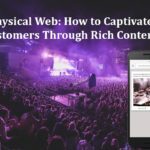 It goes without saying that proximity marketing holds huge potential for businesses looking to offer engaging and contextually relevant customer experiences. However, one of the primary challenges faced by brands during beacon marketing is that most of the beacon deployments either serve a limited audience of one app or maybe a handful of apps, thus further fragmenting and limiting the reach of that proximity driven experience. This URL that could either point to a mobile website or an Android Instant app, a new feature that was launched by Google at the same event. Android Instant Apps makes it possible for apps to launch immediately on a user’s device without he/she has to first locate the app on Google Play Store and then install it. For example, say a retail brand offers a proximity feature that allows users to locate items that they intend to buy in the store, via their app. With Nearby Notifications, the brand can now allow users to instantly launch the app and locate items they want to buy in the store without having to install the shopping app. All the retail brand has to do is update the existing app and modularise it. Once that is done, Google Play will then only download those parts that are needed to provide users with access to certain proximity features on the fly, without them having to install the app. The best part about the Android Instant Apps feature is that it is backwards compatible with devices going all the way back to Android 4.1 Jelly Bean, thus enabling apps to open within a single second. Brands can use Nearby Notifications to trigger an app intent which will then launch the corresponding app that is already installed on the user’s device and perform a specific action. If the app isn’t installed on the user’ device, he/she will be redirected to a mobile web page of the brand’s choosing. For example, the Target app offers a feature that allows users to scan the barcode of a product and view customer reviews. Now say a user is standing in the personal items aisle at Target. Using Nearby Notifications, Target can now trigger push notification that says ‘Target – Scan barcodes to view Customer Reviews’. Once the user clicks on this notification he/she will be directly taken to the barcode scanner feature in the app, provided that he/she has installed the Target app on his/her device. If the user hasn’t installed the app on his/her device, Target could drive him/her to a webpage which explains about the ‘barcode scanner’ feature in detail. Brands can also use Nearby Notifications to trigger an app install to launch an app and perform a specific action. We will dig deeper into this in the later part of the blog. In Android, apps need to declare permissions to enable beacon scanning in the background. And the sad part is that currently, there is no consistency in the manner in which the permissions are sought to enable beacon scanning. For example, in the older versions of Android (such as Jelly Bean, KitKat, Lollipop) your app would first need access to ‘Bluetooth Admin’ permission to enable or disable Bluetooth on a user’s mobile device. Once that is done, your app would then need access to ‘Bluetooth Scan’ permission/ ‘Bluetooth Access’ permission to allow for beacon scanning. However, from Marshmallow onwards, Google has made it mandatory to gain access to an extra permission – ‘Location Permission’ to allow for beacon scanning. Now unless your app has been doing something related to bluetooth beacon advertisements from the very beginning, chances are that you probably don’t have access to ‘Bluetooth Admin’ permission. And adding it could break your automatic updates – something that can have significant business consequences for most brands. In their efforts to simplify the beacon scanning process, Google has changed the rules using Nearby Notifications. Now any app using Nearby can scan for beacons as long as they have access to ‘Location Permission’ on all platforms. In other words, Google Nearby has simply removed the need for apps to declare ‘Bluetooth Admin’ permission in the manifest. The best part, however, is that they have made this feature backwards compatible with devices going all the way back to Jelly Bean MR2 when they first introduced beacon scanning. Thus using Nearby, most apps will now be able to add support for beacon scanning without having to update their manifest, as long as they have access to ‘Location Permission’. Every time Bluetooth is enabled on an Android device, the system will transmit a broadcast throughout the Operating System (OS). As soon your app listens to this broadcast, it will start running a service in the background, which will then enable beacon scanning. Therefore, currently once a beacon-enabled app listens to the broadcast, it must either be running in the background or be in the foreground to enable beacon scanning. Adding on to that, in some cases, the apps might not be very efficient and could result in massive battery consumption while running services in the background. This increases the chances of users killing the app in order to conserve battery. Any app using Google Nearby API will enable the user’s mobile device to scan for beacons. And once the device comes across a beacon that your app might be interested in, it will notify your app (via pending intent) even if your app has been killed. Thus, Google Nearby makes background scanning a whole lot simpler than the current alternative. Driving app installs is a crucial metric for most businesses today. And when it comes to beacon-enabled apps, most brands simply stick relevant posters advertising the promising proximity features offered by the app, at the deployment space/ venue. However, more than often, users find the process of having to search through Google Play store, install the app and then navigate through the app to find features that would interest them, to be a little cumbersome. On the other hand, few brands have also used Eddystone beacons to push notifications that lead users to a mobile landing page that briefs them through all the proximity features offered by the app, thus allowing them to download the app right away. The limitation here is that the Eddystone beacon tactic requires users to turn their Bluetooth ON. For example, say a user is currently inside a museum. A contextually relevant feature, in this case, could be one that offers audio tours on paintings and artefacts at the museum. For example, say a user is standing in a queue to place an order at the coffee shop. A contextually relevant feature, in this case, would be one that allows the user to pay for his/her coffee and skip having to wait in queue for long. For example, say a user recently purchased a Chromecast. In order to be able to use this brand new device, the user will have to search for the Chromecast app on the Google Play Store and install it. Nearby notifications can help you enhance this setup experience in a very simple manner. For example, Chromecast can use Google Nearby to trigger a push notification that will allow the user to install the Chromecast app and pair with it with a single click. Not only is this notification contextually relevant to the user but will also appeal to a broad range of users who have purchased Chromecast. In their efforts to ensure that driving app installs doesn’t result in any compromise on user experience, Google has made it mandatory for brands to direct the user into the use-case/feature that is being advertised in the notification, right-away. For example, say a user is standing at the personal items aisle at a retail store. Using Nearby Notifications, the retail store can now trigger a push notification that says ‘Scan barcodes to view Customer Reviews. Install the app’. Clicking on this notification will allow the user to quickly install the app and launch him/her directly into the barcode scanner feature in the retail app on his/her device. This is a very crucial feature as it allows brands to eliminate clicks and user frustration by creating an enhanced user experience. This also means that apps can now have multiple use cases and provide specific location-based content, which is not exposed in one large, confusing menu to the app user. Similarly, given the importance of omnichannel shopping, apps can now have a totally different look and feel, depending on whether the user is in-store, at home, etc. Implementing a large network of beacons is one of the aspects of a beacon deployment that requires a huge upfront investment. And it is one of the primary barriers faced by brands looking to leverage beacons. With Nearby API, Google is working towards making the sharing of beacon installations and emerging beacon networks massively accessible and scalable. Brands will not only be able to ‘lease’ and potentially monetize their own beacon installation to other apps (further justifying the investment) but will also be able to ‘lease’ other installed beacons throughout the physical world, thus expanding their reach exponentially. 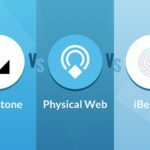 Experts predict that this move will rapidly accelerate the deployment and accessibility of beacons by providing app publishers of all shapes and sizes, with sufficient foundational infrastructure to deliver hyper-relevant, contextual experiences, as location-based inputs become table stakes for all brands. All in all, there is little doubt that Google is clearly looking at beacons the right way and making the required product decisions that address some of the shortfalls of Apple’s approach from a few years ago. I wonder if you have any references to documentation or something else that backs the claim “Now, you probably already know that since Android 6, any Android mobile device is allowed to scan for beacons even when Bluetooth is OFF”? I’ve been looking for confirmation for this, and this post is the only one so far. Proximity Marketing Technology is becoming more popular every day. There are a lot of new opportunities are opening up in everyday life as well as in business those are unrivaled, especially in their simplicity and technology cost. The possibility to apply this technology in the restaurants, cafes, clubs and other institutions is caused by the opportunity to engage the most sophisticated customer. This technology allows you improve not only the appearance of the restaurant or the dishes cost, but also to enhance the customer experience, for example, table setting while the client is waiting for the order. Today the average person prefers to spend its time perusing the menu (68% of visitors) or the restaurant’s interior (21%) while waiting for the meal. But still, according to statistics, almost 80% of customers will use mobile phones or spend time on the Internet. 8 out of 10 visitors already saw what we are going to broadcast. – discount coupons for the next visit or corporate parties and much more.